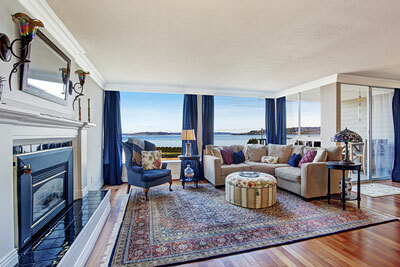 At Palm Beach Oriental Rug Cleaning Pros, an Oriental rug or area rug is just as important as a piece of furniture to us. It’s something that, if cared for properly, can last for generations to come. We recommend your rug to be professionally cleaned at least every 1 to 2 years, or even more often if it endures a lot of traffic in the house. Unseen dirt particles can affect the integrity of the rug’s fibers, forcing them to become weaker and fall apart. With proper professional cleaning on a timely basis, we can prevent this, expanding the life of your rug for decades. Our team understands the value of your area rugs in Jupiter Inlet Colony. Our professional cleaners know how to work on all types of area and oriental rugs with the utmost delicacy, ensuring your rug retains all its former beauty. Persian, Indian, Pakistani, Antique or handmade oriental, your area rugs will be in the right hands with Palm Beach Oriental Rug Cleaning Pros. We have many years of experience working with different type of fibers, and we have mastered the best rug cleaning products and methods. Steam cleaning (hot water extraction) and rug baths are the rug cleaning methods we use mostly. Those methods provide deep and thorough cleaning of your area rugs, and they remove dirt and eliminate all of the cleaning solution and leave your rugs clean and residue free. For gentle, delicate and older rugs we recommend our dry cleaning method. Our area rug cleaning team is going to choose the best cleaning method for your rugs and you can be confident that our choice is based on many years of experience. Our main goal is your complete satisfaction. Our team will always take superior care of your handmade, antique, specialty, or otherwise delicate area rugs. 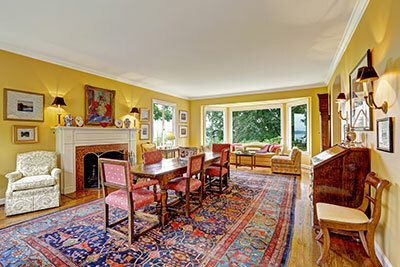 Call us today and let our experts clean your area rugs as never before. 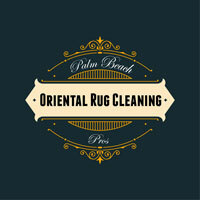 At Palm Beach Oriental Rug Cleaning Pros, we understand how important your pet is to you and your family members. Unfortunately, pet accidents happen often and the odors from can be quite unpleasant. Most of the pet owners are aware that these odors are set in their area rugs and usually attract their pet to do it again and again, creating a spiteful sequence that leads to serious odor issues and can even cause health problems. Pet odors and stains are very difficult to remove. But, that's where our team of professionals comes in. Our specialists will treat the problem in the most efficient way to restore the lovely home atmosphere you and your family deserve. First, we carefully inspect your carpet and upholstery using a black light to detect the revealing signs of pet urine. Under the black light the urine will glow green-yellow color. The black light detection is the best way to locate urine-contaminated areas. Next, our pet odor experts will then pre-spray your area rugs with a solution that will break down the urine and prepare the urine deposits for removal. We use organic enzyme cleaners that will break down, digest, and remove the odors and stains. Our proven methods do not only mask unpleasant pet odors. They remove the microorganisms that are the source of the odors.